Lookin' mighty buff there, Morty. Wear your favorite characters from Rick and Morty in the form of these cool pins! 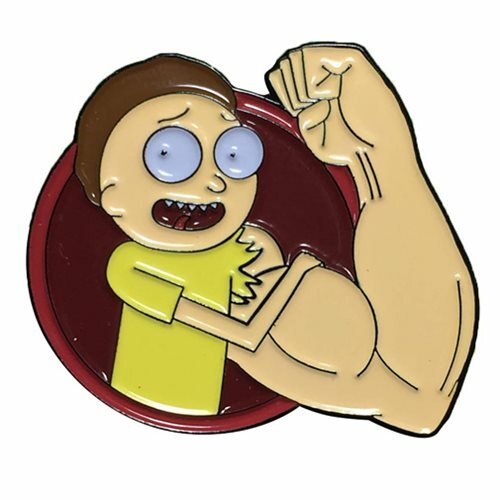 The Rick and Morty Buff Arm Morty Lapel Pin measures approximately 1 1/2-inches tall. Be sure to collect them all: Buff Arm Morty, Get Schwiffy, Noob Noob, and Poopy Family Portrait (each sold separately)! Ages 14 and up.